An existing 2100 s.f. space-framed atrium space had seen a steady decline in appearance and usability over a span of many years. Yet it still functioned as the heart and crossroads within a major PSE&G office facility. 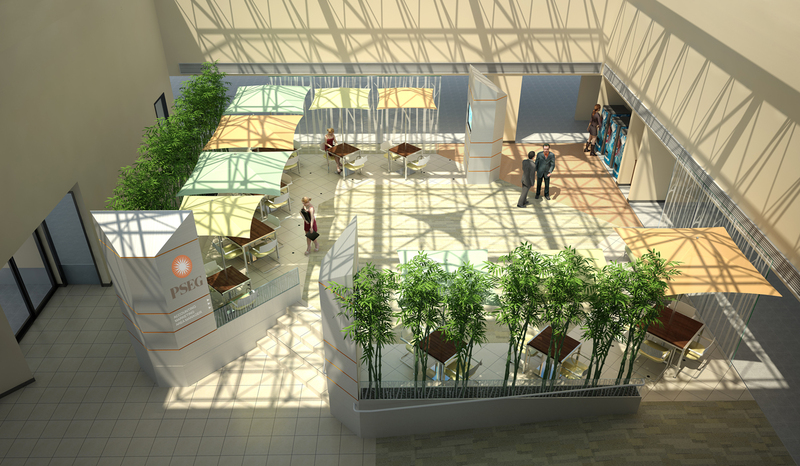 The new design served to demolish a series of multi-level planters and platforms that had fallen out of service, eliminate visual clutter, and simplify the atrium space so it could provide multiple functions, including as a large presentation space to serve all the building occupants. The space was upgraded to a more upbeat, colorful, and softened visual environment, where lunch and informal meetings could be supported. A/V information kiosks were provided at strategic locations within the atrium. 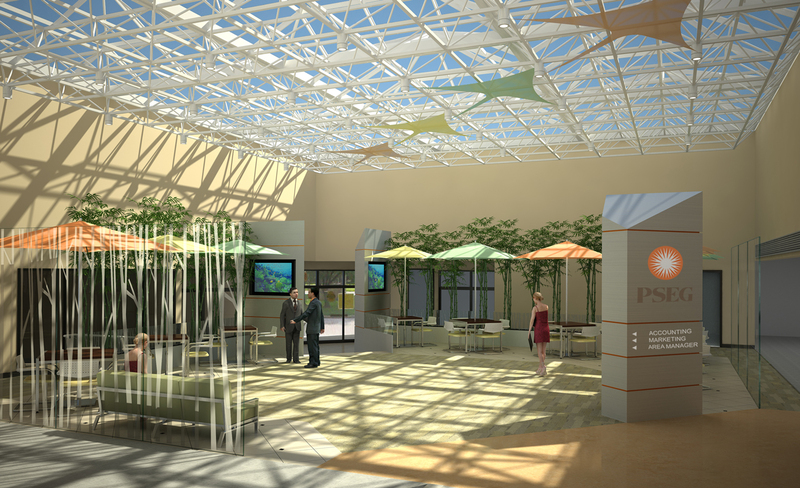 Acoustic and HVAC concerns within the atrium space were also addressed via enhancements.